The 2010 earthquake in Chile took many lives and razed 9% of the country’s homes. 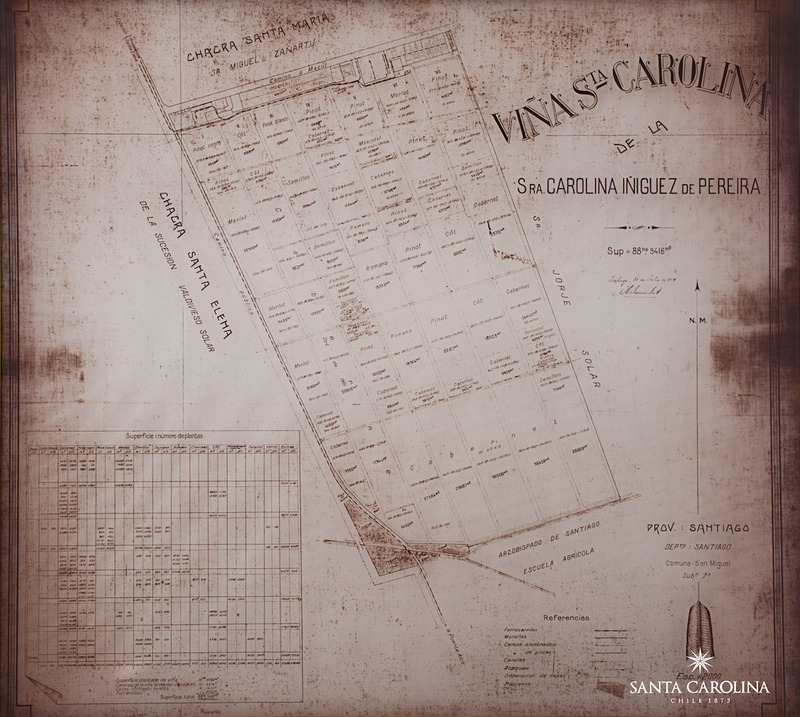 As Santa Carolina rebuilt its Santiago base, so it made a startling discovery – finding a hidden compartment of an underground cellar, housing wines from the 1950s and 1960s that no one knew was there, plus previously-unseen documents explaining the old vinification processes. In yesterday’s once-in-a-lifetime tasting we tasted these wines alongside the latest vintage of the winery’s top wine, Luis Pereira 2013. 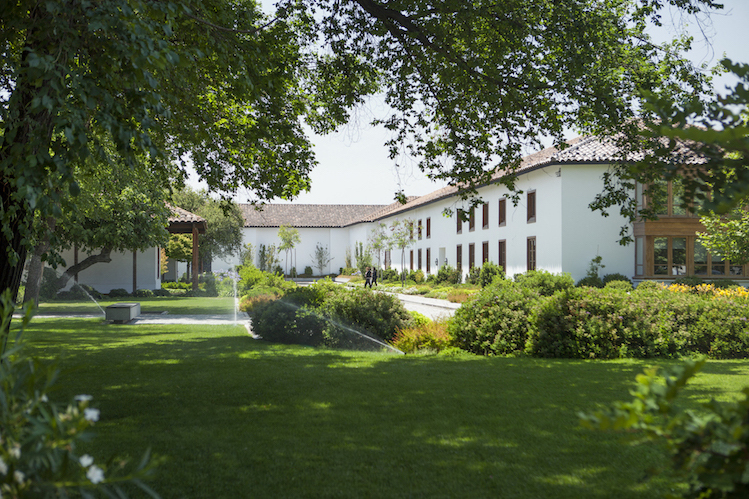 Andrés Caballero, winemaker at Santa Carolina, has crafted the Luis Pereira ‘icon’ wine from the same winemaking techniques employed in the 1950s and 1960s, and is keeping back 80% of the wine until it is truly ready to drink. Buses, policemen, iconic wines from Chile. Never there when you need one and then a whole line of them show up at once. 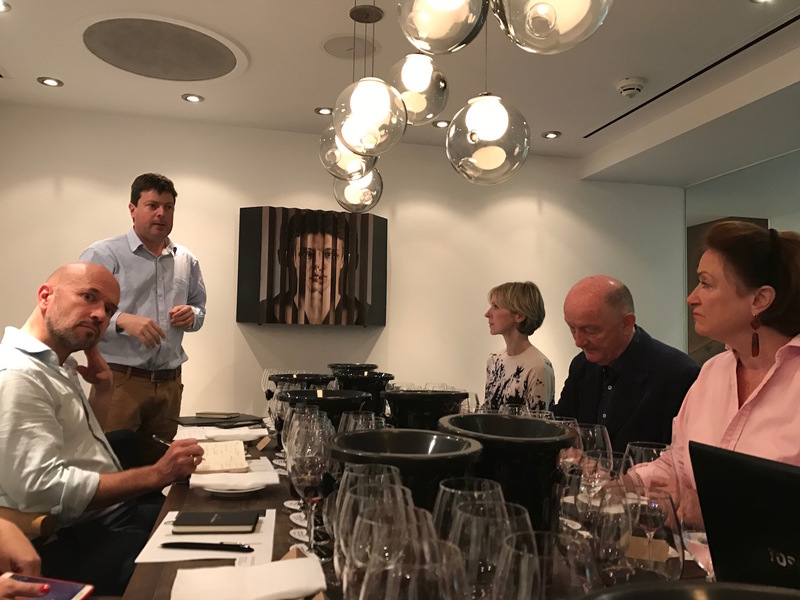 No sooner had I cleaned my palate from Monday’s Errazuriz tasting – trying the sublime 2015 vintages of Viñedo Chadwick and Seña – than I was sat in front of a vertical of Luis Pereira, the top wine of Santa Carolina, alongside winemaker Andrés Caballero. 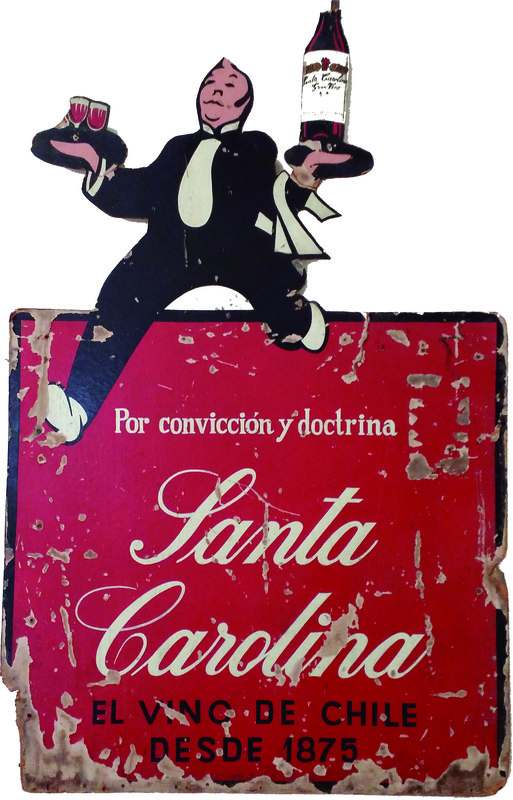 Like Errazuriz, Santa Carolina was founded in the 1870s (five years after Errazuriz) and is one of the oldest, most highly respected and powerful wine dynasties in South America. 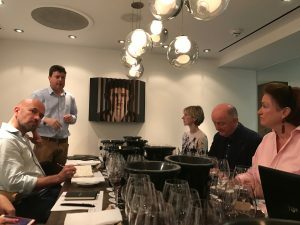 What made this tasting even more special than simply trying the new 2013 vintage of Luis Pereira was that we were trying the 2013 against much older vintages of Cabernet Sauvignon – 1964, 1962 and 1959 which, being my birth year, is always a rare treat. The reason behind tasting these much older vintages is tragic on the one hand and celebratory on the other. In 2010 an earthquake measuring 8.8 on the Richter scale devastated much of Chile with 525 people dying and 9% of the entire population losing their homes. 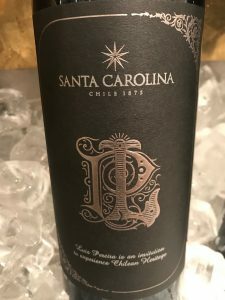 Once the dust had settled at Santa Carolina’s Santiago-based winery that was itself badly damaged an amazing discovery was made. 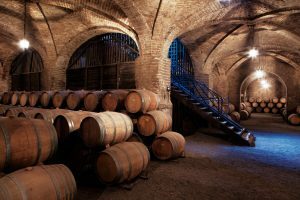 Old documents explaining the vinification process used during the 1950s were discovered plus a wine library of old bottles in a formerly hidden compartment of the underground cellar. What made this find doubly special was that no one knew these wines were there. And so began a project at the winery that is aimed at preserving the past. On the one hand there is Luis Pereira, a new premium ‘iconic’ wine based on the past ‘recipes’ and vinification processes. 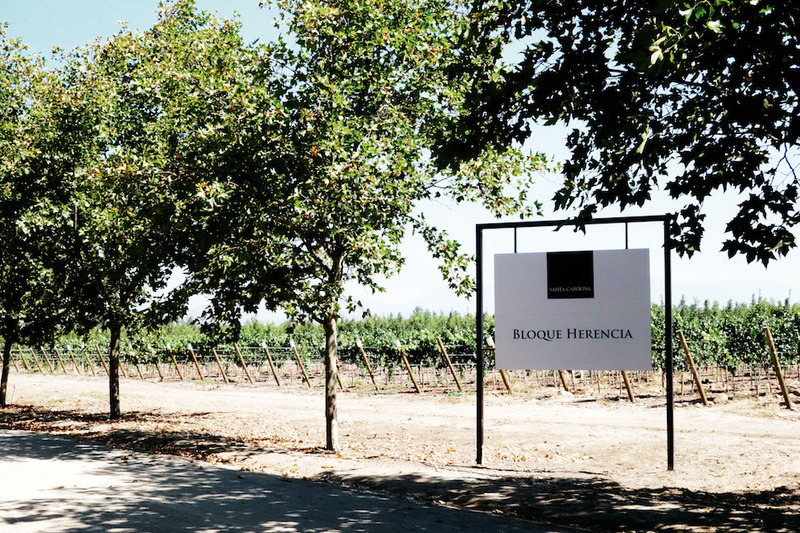 On the other hand is a large-scale rescue operation of pre-phylloxera vines called Bloque Herencia. The timing of this re-thinking of winemaking philosophy is not unique to Santa Carolina and Caballero. There is a quorum of winemakers in Chile who have decided to start making lighter, elegant, ageworthy and more expressive wines including the likes of Marcelo Retamal at De Martino, Francisco Baettig at Errazuriz and Caballero or the ‘Chile Mafia’ as they were referred to over lunch. This thinking started about ten years ago but for some, Caballero included, the earthquake literally and metaphorically signalled the seismic shift in winemaking style. 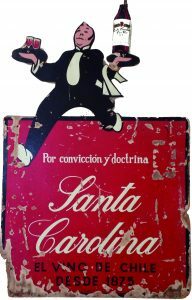 The fact that the earthquake also unearthed hidden documents and wines from Santa Carolina’s past gave Caballero and the winery every excuse to start making changes. The background to this is that Chile wine production underwent enormous expansion post-Pinochet with export the key outlet. In 1989 Chile produced 400m litres of wine, 7% of which was exported for a value of $35m, in 2009 20 years later the country was producing 1bn litres of wine, 70% of which was exported for a total value of $1.4bn. 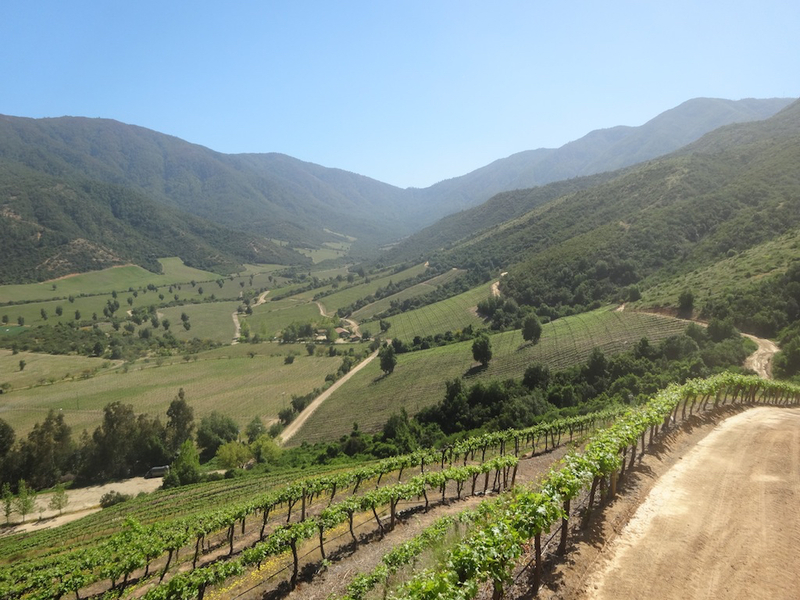 In order to support this growth new vines were planted so much so that 66% of all vineyards in Chile are under 20 years old, a third of which are Cabernet Sauvignon. 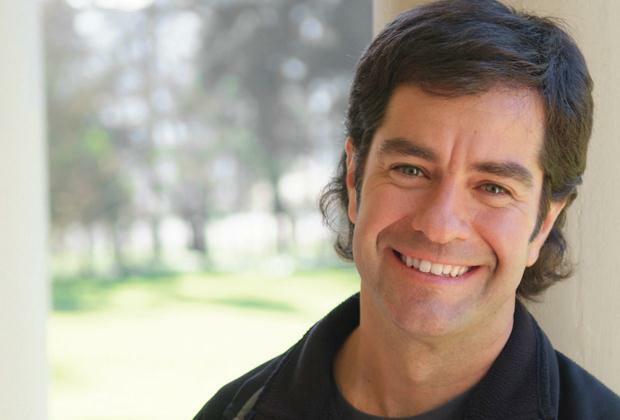 “Then, winemakers started increasing the yield which really was the beginning of the end,” says Caballero. 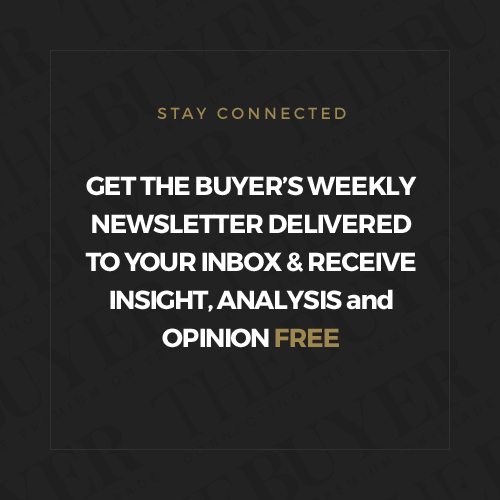 Inspired by the older vintages discovered in 2010, Caballero and Santa Carolina have started doing their bit to rectify the situation which includes producing the new ‘icon’ wine Luis Pereira, the first vintage of which was in 2012. The Luis Pereira spends one year in barrel and then one year in old French casks. 80% will be held back for later release. The grapes are sourced from a variety of areas within the Central Valley from vines that are at least 70 years old. The hand-picked grapes are harvested a month earlier than current traditional harvests with a yield of six tons per hectare (almost two thirds less than what the yield had got up to). 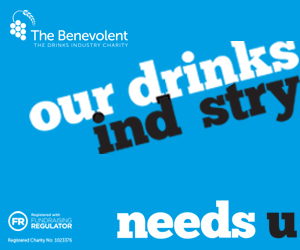 Fermentation then follows traditional styles – using natural yeasts, pump-overs and not adding any acids. Maceration is short, before one year in old barrels followed by another year in French oak casks. Caballero showed the 2012 and 2013 Luis Pereira against the next best thing, a Santa Carolina Reserva de Familia 2007. The new wines were down to 12.5 and 12.8 % ABV respectively while the 2007 was 14% and, although it was well made wine, it felt outdated already with its concentration, massive hit of alcohol and overall muscularity. The Luis Pereira on the other hand had a strong fruit profile but there was far more structure to the wines and texture. The 2013 was showing better than the 2012 on the day, although the reverse was the case at Vinexpo when Caballero showed the wines side by side. The 2012 (a warm vintage and not the best to kick off the project with) had a complex, herbal nose as well as deep black fruit, it had a full mouthfeel with smooth tannins and notes of pepper, cake spice and blackberries. The 2013 (a cool vintage) was more smoky on the nose and more meaty, with delicious hits of blackcurrant, blackberry, tobacco and soy on the palate. 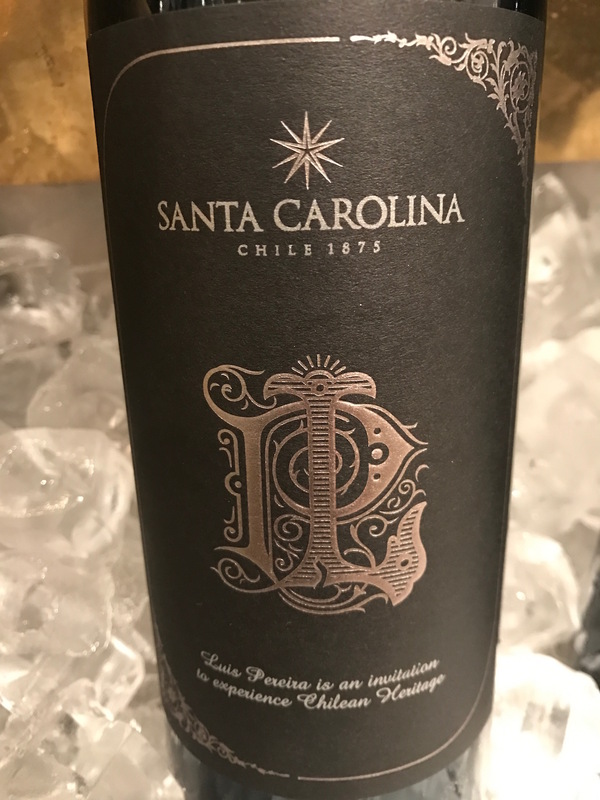 Caballero calls Luis Pereira his ‘work in progress’ but it certainly looks good so far, although the £100 a bottle price point feels steep, especially if we are to expect consumers to immediately take to the new wines when other iconic Chile wines have more of a track record. Time will tell. 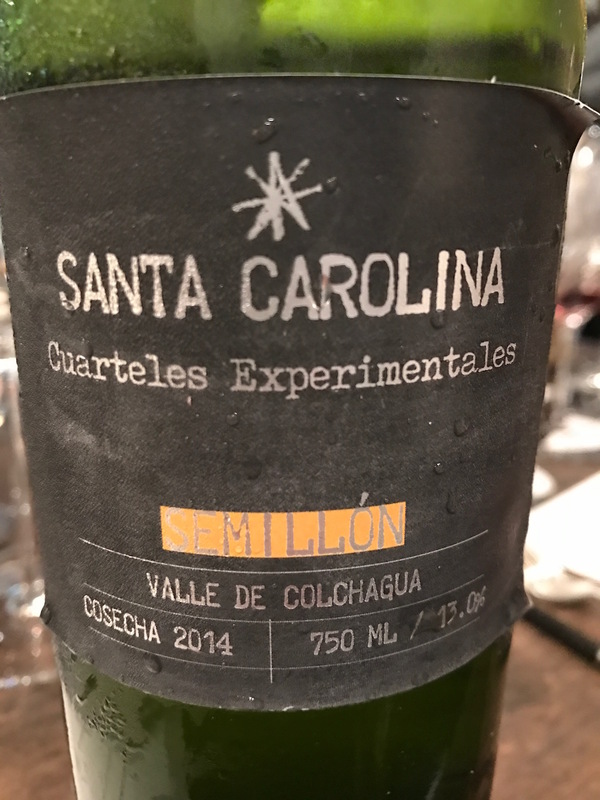 And, talking of which, full marks for Santa Carolina in holding 80% of production back to release in years to come when it is truly ready to drink. “That was part of the deal,” says Caballero with a smile. 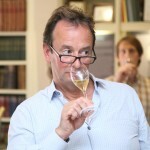 What was also apparent was how the philosophy is affecting production of the estate’s other wines. 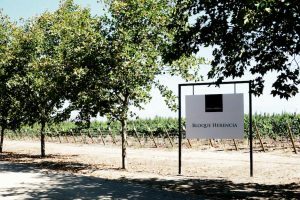 The Reserva Familia 2015 was miles away from the 2007 – mush crisper and fresher and one of the hits of the tasting in my mind. 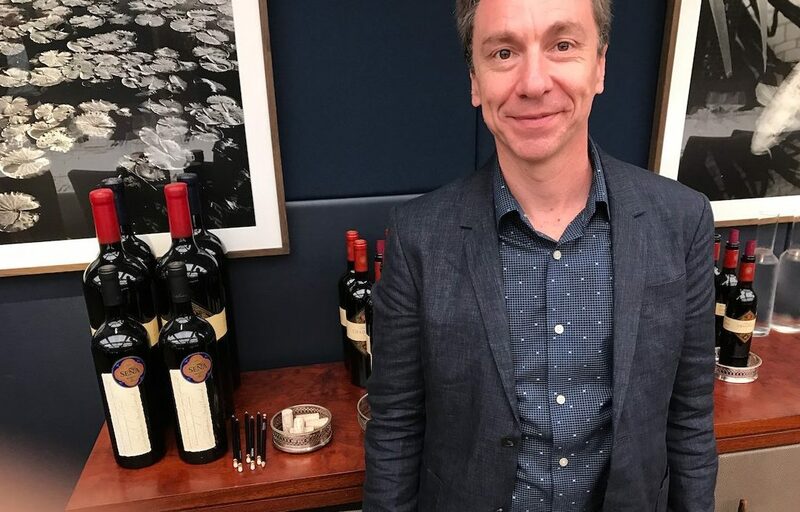 Caballero is also producing unique wines, many of which are only available at the winery itself including wild Cabernet Sauvignon, old vine Semillon and a Pais 2017 that he is just bottling and was delightful in a young Beaujolais way. 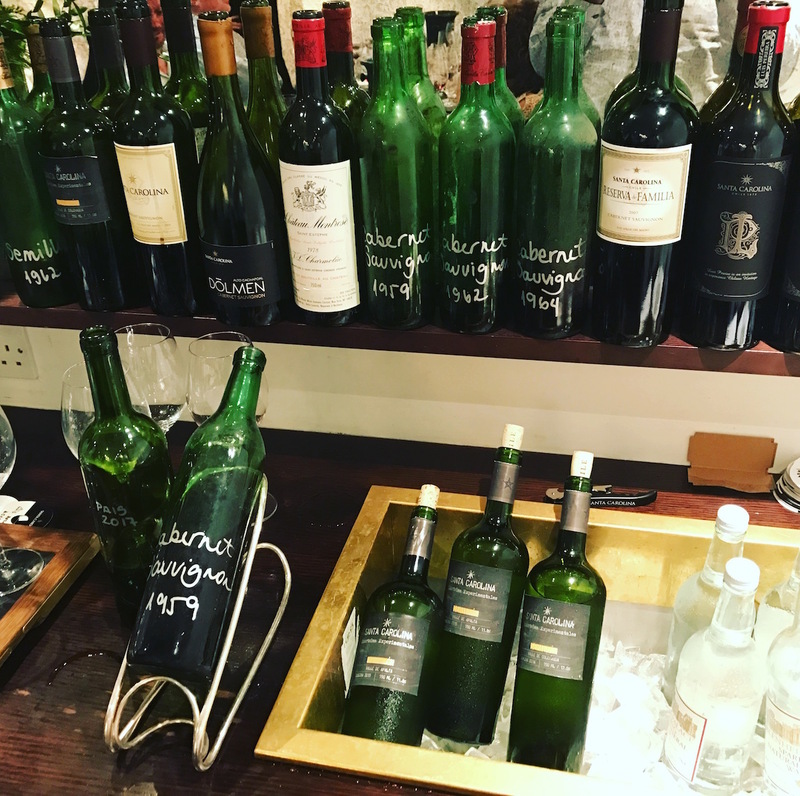 To give us an indication of how the Luis Pereira wines will age Caballero had brought along bottles of 1959, 1962 and 1964 Cabernet Sauvignon made in the style that he is now emulating, and some of the actual bottles that were recovered from the earthquake. 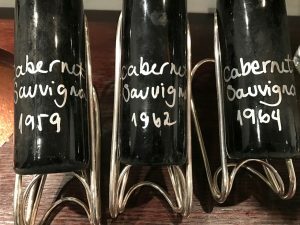 All three wines were delicious but the 1959 and 1964 stood out better than the 1962 which had a hint of prune to the fruit and a flatter, slightly sour edge. 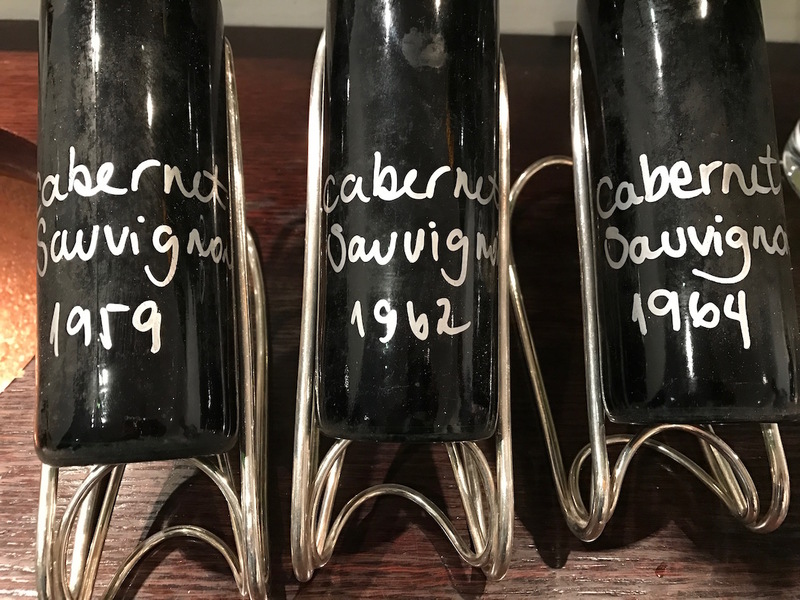 At the beginning of the tasting I favoured the ’64 over the ’59 but two hours later it was the other way around with Caballero going totally the opposite direction. The 1959 was really surprising, particularly in how fresh, complete and consistent it was, especially drinking it over two hours. 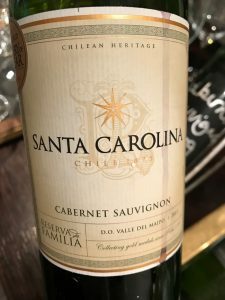 There was also a big disconnect between the hugely evolved nose that was sweet, uplifted but also slightly musty like an old library book and the freshness and flavours of the wine itself. The nose didn’t make you want to dive in but my Lordy that first taste! – perfectly fresh and balanced, neither too dry nor sweet and the fruit, which was amazingly intact was ‘pixelated’ with little hits of fresh, juicy blackcurrant spiking out of the overall background of attractively flavoured black fruit. The 1964 was russet brown like the ’59 and ’62 but the phenolics were far more beefy, like a touch of Bovril, the palate was more blackberry than blackcurrant, the fruit profile, acidity and balance were all first class and, like the 1959 the tastes lingered for an eternity. If this is a sign of the times then Caballero and his team can bring it on. 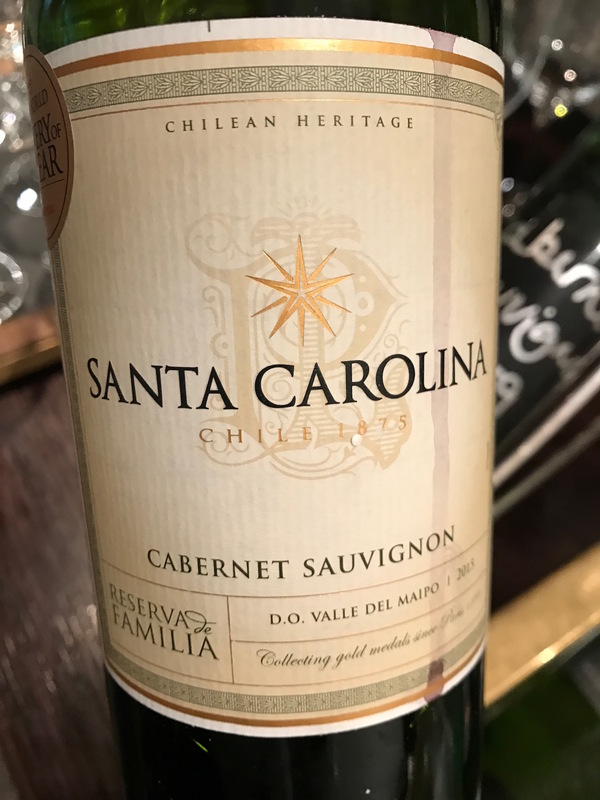 Santa Carolina wines are imported into the UK by Ehrmanns. 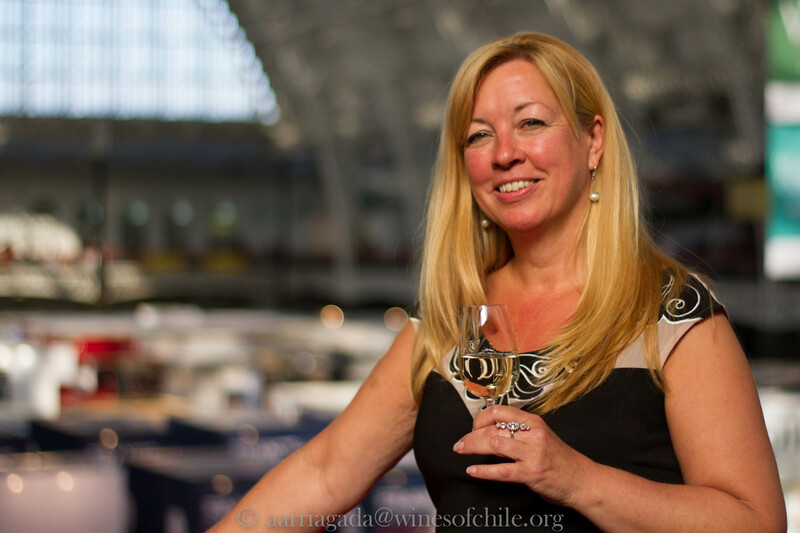 Viñedo Chadwick and Seña 2015 – the best ever wines from Chile?